Motivated. Seller says sell it now! New tile roof! Turnkey! Move in ready! Newer ac, new water heater. Fantastic investment opportunity if buyer desired. Constant 6 month rental income in place. Huge lani with spectacular panoramic views overlooking bimini basin. Gulfsailboat access. Boat dockage available upon request. Oh did i say large 3 bedroom. Yes thats right. Large first floor unit, 3 bedroom 2 bath. Beautifully landscaped and maintained. 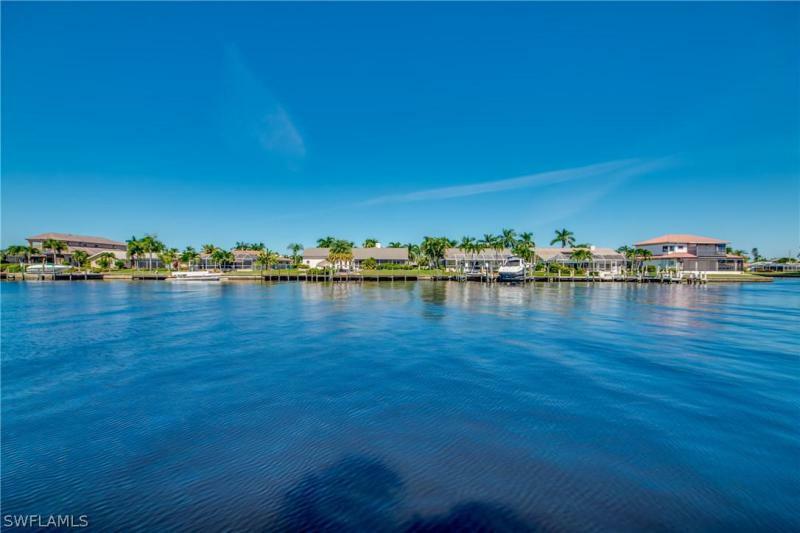 This is one of the premier waterfront condo properties of cape coral. This unit has the best water view and the most spectacular sunrisesyou can imagine and the fishing isn't that bad either. 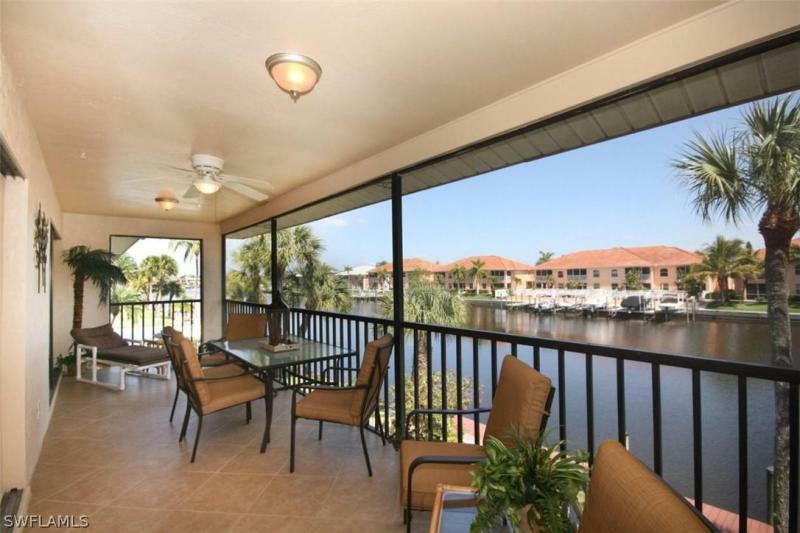 Well-maintained, split bedrooms and large living area looking out onto the bimini basin. Master bedroom view is equally as nice as the living room with a slider leading to the laini. This laini is long andfully screened in. This is a must see unit if you are looking for a wonderful large condo with an amazing open water basin view! Make an appointment to view the unit today. Bring us your offer today! Let's make a deal! In 1513 ponce de leon' led an expedition in pursuit of the fountain of youth you can thank him for finding it here. Ease your way into this beautifully remodeled gulf access 2/2 condo offering breath taking views sitting directly over the water with quick access (only one bridge) to the gulf of mexico. Porcelain tile throughout entire condo including lanai. Kitchen features: all new stainless samsung appliances in kitchen & laundry. Climate controlled wine refrigerator, concealed outlets under kitchen cabinets, new 42 cabinets with granite countertop and brushed chrome hardware sets off the stone backsplash. In master bath new vanity with granite top, newly tiled shower with tiled seat, frame less glass doors and two shower heads (pocket door to master bath). Toilets replaced to comfort height in both bathrooms. New fans and lighting everywhere. New roof in 2018/new carport in 2018/new pool heater in 2018/new pavers around rim of pool in 2018/new lighting outside of buildings 2018-2019, complete re-plumb. Hurricane shutters, custom designer horizontal and vertical pull down blinds in great room, too much to mention, just click on link to view virtual and enjoy the tour. Don't miss out on this one. Beautiful brand new hardwood flooring and freshly painted. Completely renovated second floor 2/2 unit, amazing waterfront views. Located on deep sail boat access 200 foot wide navaho canal with direct gulf access to the river just minutes by boat. Walk to jaycee park and only 1 mile to heart of downtown cape coral. Beautiful kitchen with pass-thru to dining room, complimented by breakfast bar, wood cabinets for ample storage & premium ss stainless steel appliances. Massive great room featuring picture window of waterfront with hurricane shutters. Enjoy your morning coffee with stunning sunrises and fish jumping every morning from your screened lanai. Master bedroom also has a waterfront picture window, giant walk-in closet and master on suite with dual sink vanity with a walk in shower. Nice size utility room with washer and dryer and extra storage. Dedicated covered parking space with outside storage. Hoa fees include homeowners & flood insurance, water, irrigation, trash, all building, pool & grounds maintenance and ext. Pest control. New carport & paved parking along with brand new roof for the entire complex. Beautifully updated nicely decorated turn key water front condo. This unit looks like it was never used and it almost wasn't. Almost all furniture is brand new with a new water heater and ac. 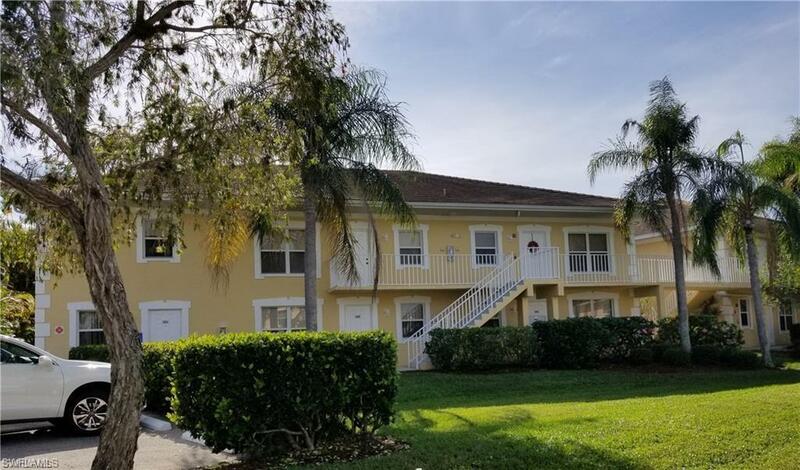 Second floor unit with very large lanai which looks over the rubicon canal which is over 200 feet wide. Electric hurricane shutters gives you great protection as well as security when your away. Bring your boat to the community dock for quick access to the gulf of mexico. This 2 bedroom 2 bath is as clean as you can get with everything you need to move right in. Low association dues keeps your costs low for a great winter get away or your permanent home in paradise. I assigned covered parking as well as extra storage space under car port. New & good news! The board of directors has approved an amendment that would allow boat lifts to be installed - pending association vote. Unit 101 now has an assigned dock space in front of the unit. Owner must apply to the board first and is responsible for cost of lift installation. This is a very well run and maintained beach pkwy complex. Located just around the corner from the river you will enjoy wide 200 water views. 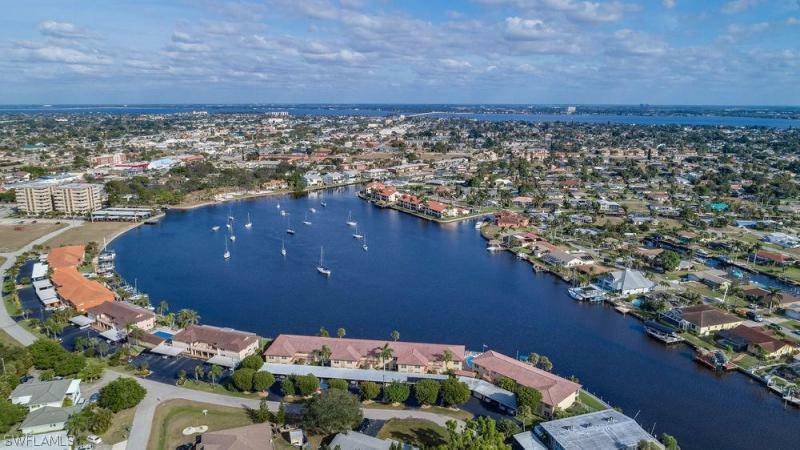 This sailboat access canal is seconds from the caloosahatchee river and then youre setting sail for the gulf of mexico. If you love to walk, join the lovely walkable community with nearby jaycee park: a destination for young and old alike. Spacious end unit with a greatroom style floorplan. Oversize lanai gives year round enjoyment. Watch the dolphins, manatee & fish. Move in ready condition. Heated community pool. Unit includes an assigned covered carport plus outside storage closet. This ground floor end unit is priced to sell. Brand new metal roof. This ground floor condo is ready for you to update and make your own. Bright & light layout with nothing but windows on the water! You wont find another like it at this price! Hurry & call your realtor today!